Our lunch included tea, which included a slice of lemon. 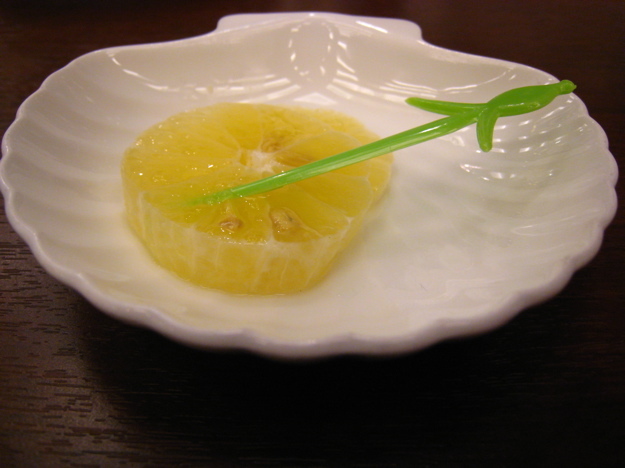 The lemon slice had been peeled. Good thing, or I’d totally have caused a scene. 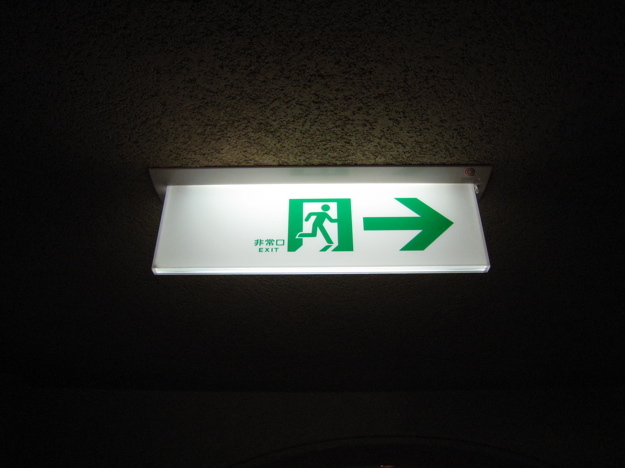 An aside… the exit signs in Japan are great. Run! Run through this door! RUN!!! 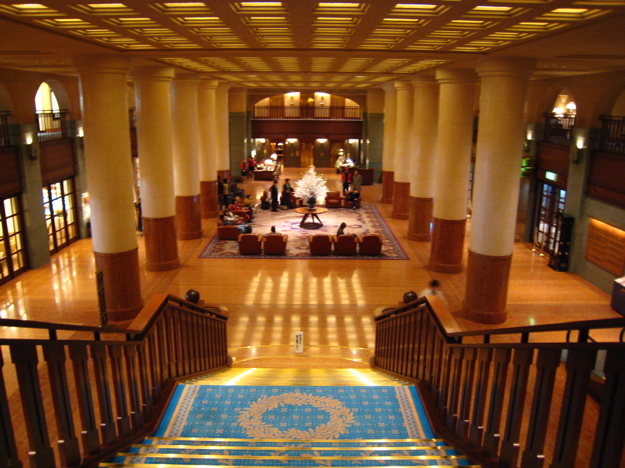 The lobby of our hotel (Hotel Okura). It was huge. 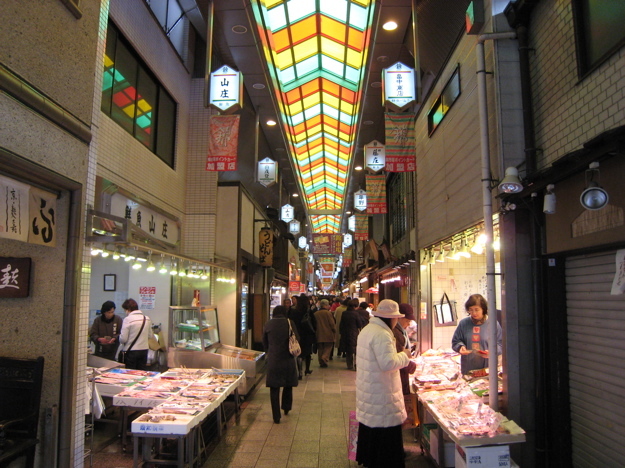 Then we headed out to start out sightseeing. 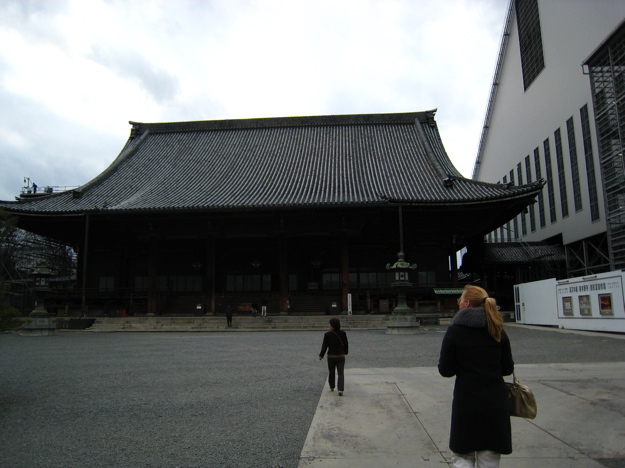 First stop: Nishi-Honganji temple, one of the dozens of temples in Kyoto. We arrived just in time for this ceremony. Here’s a shot that my camera couldn’t quite understand. Apparently it had never tried to shoot this much gold in a single frame. 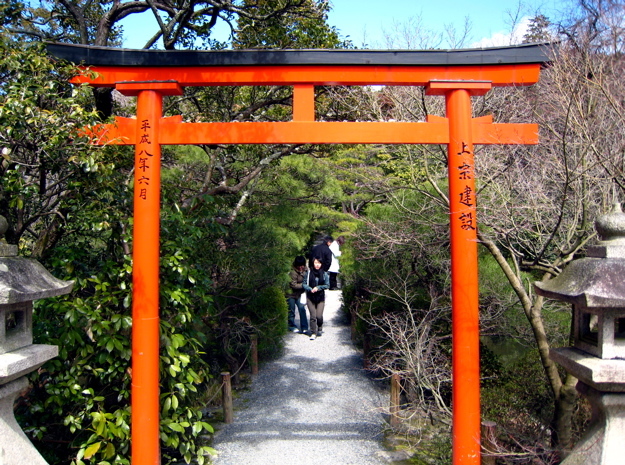 From there, we walked to another temple. We took what looked on the map like a shortcut, and ended up on this incredibly narrow residential road. 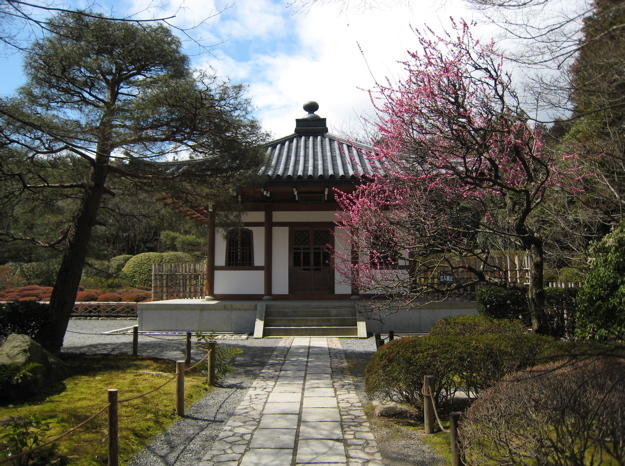 Kyoto is amazing because there are all of these ancient temples on the same block as tiny houses. 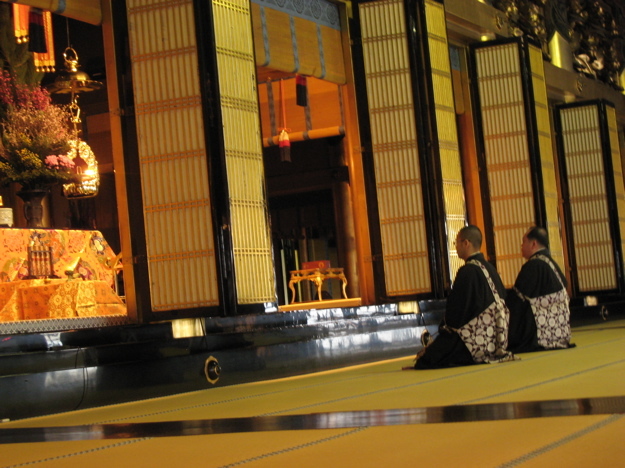 Next stop: Higashi-Honganji temple. 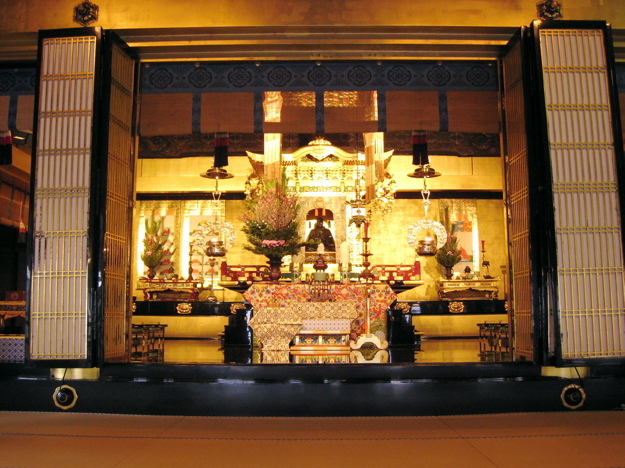 These temples were originally built in 1272, and rebuilt in 1895. (Can you spot AEJ in this photo?) 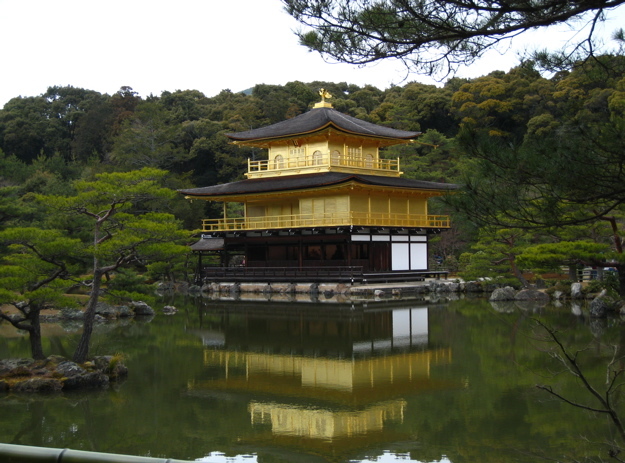 The structure to the right is not a new building, but actually a temporary encasing, built to protect a temple that is undergoing restoration. 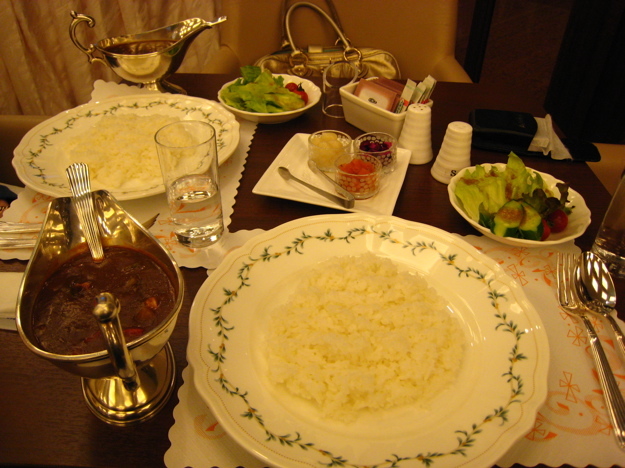 That night, we took the train to Kobe for Kobe beef, which I’ve already written about extensively. 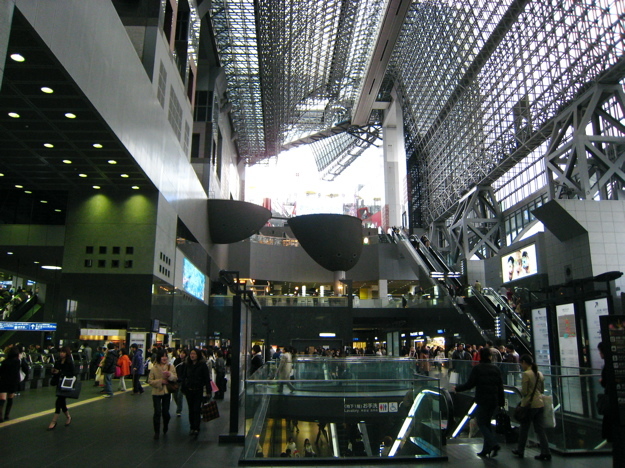 Here’s the Kyoto train station — a stunning piece of modern architecture, and even more amazing to see in a city with so many ancient buildings. 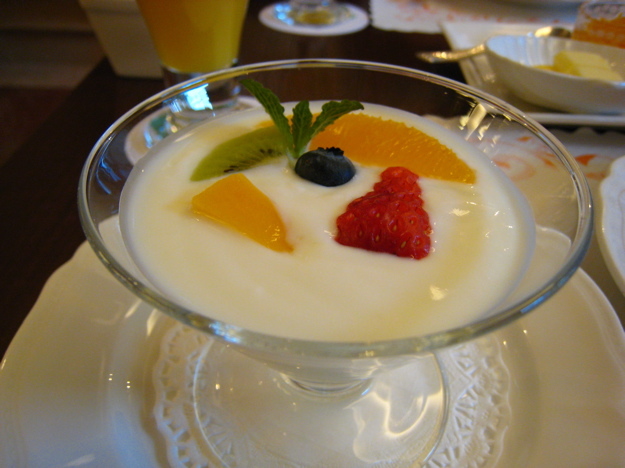 … and fresh (delicious, refreshing) yogurt. 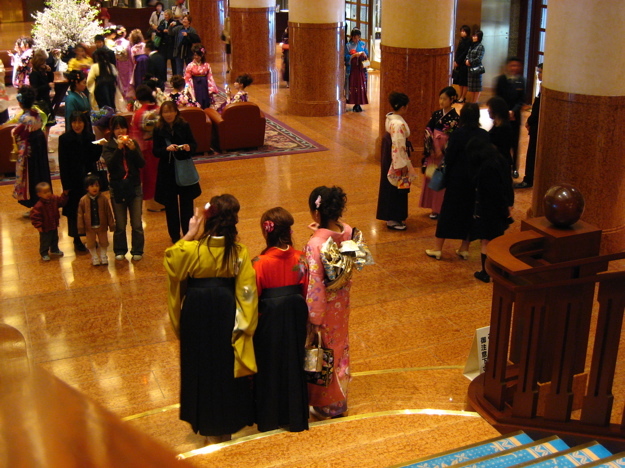 There seemed to be a girls’ school graduation party happening in our hotel lobby that morning. 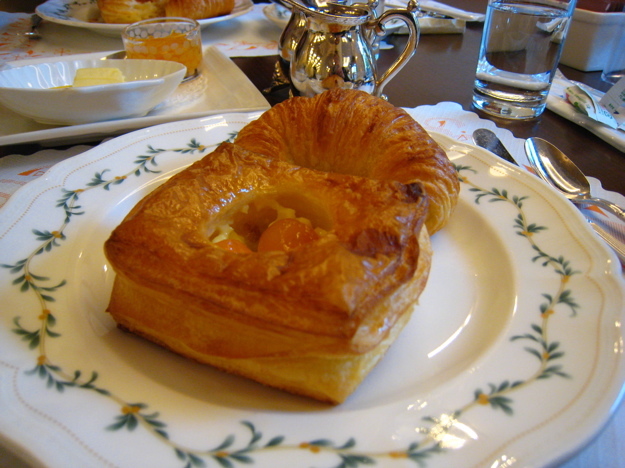 After breakfast, we headed out for more sightseeing. 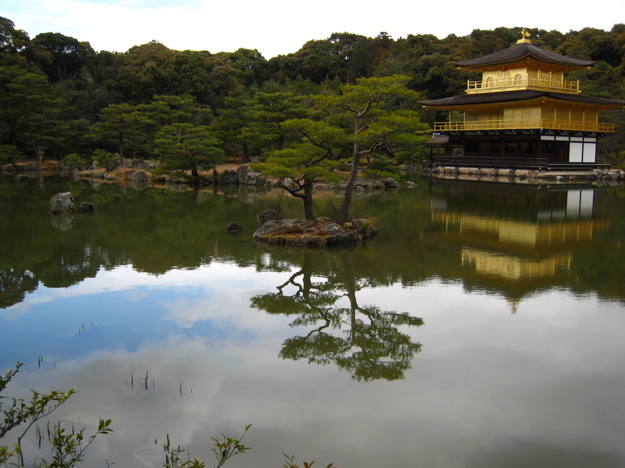 Next up: Kinkakuji, an incredible golden temple. And just because it’s so damn pretty, here’s another shot. The entire grounds were beautiful. Here was a place where you could make a wish. I wished for a super hot fiancee, and voila. These women were wishing for an annoying American guy to take their picture, and… voila. 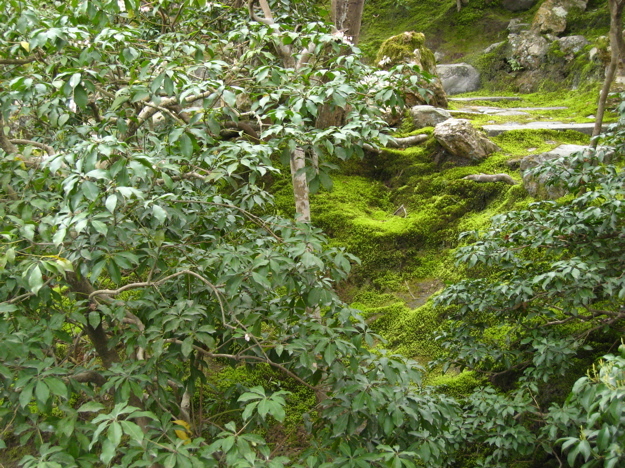 I realize there’s no shortage of pretty nature shots in Kyoto, but do you see the amazing color of this moss?! 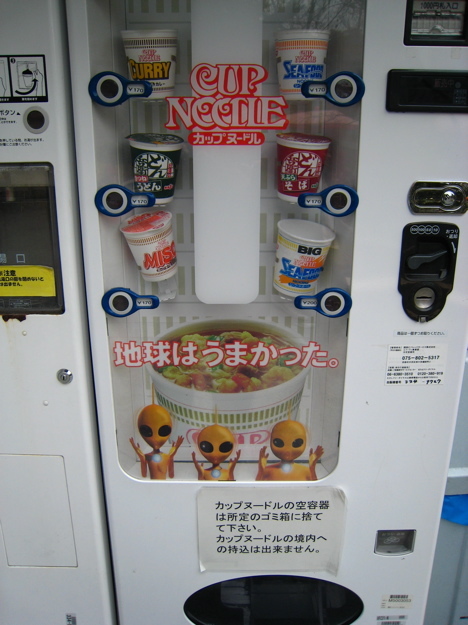 Here’s a vending machine outside of the temple. 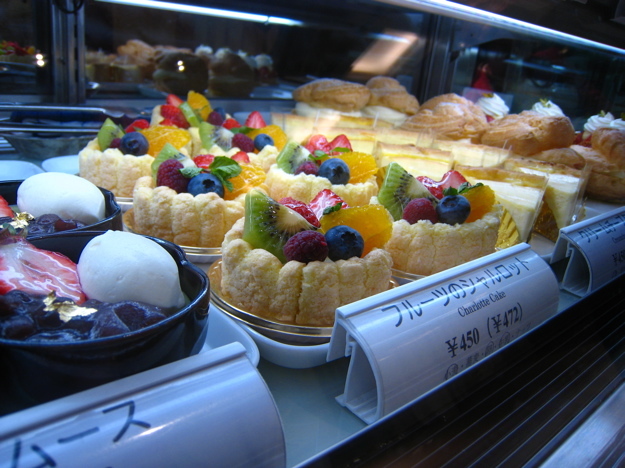 Wataru tells me that the text above the aliens’ head says, “Earth was yummy.” Yes it was, my alien friend. Yes it was. 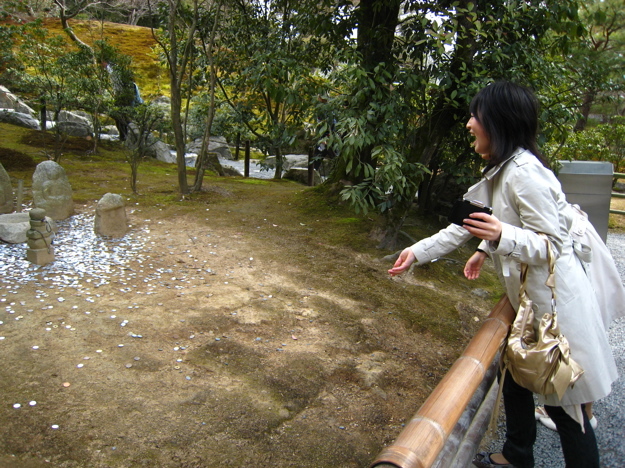 Our next stop was a zen rock garden. I love the welcoming poster. 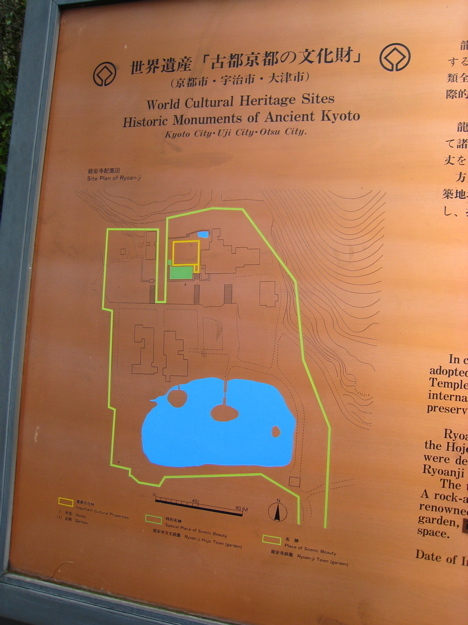 In addition to pointing out that it’s on the list of world cultural heritage sites, there’s a green line around the entire perimeter of the grounds. What does the green line signify? If you could zoom in, you’d see: “Special Place of Scenic Beauty.” The entire park. 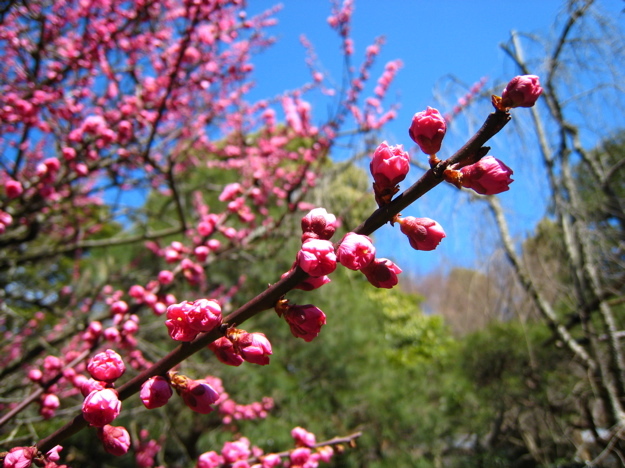 Some buds from a plum tree. 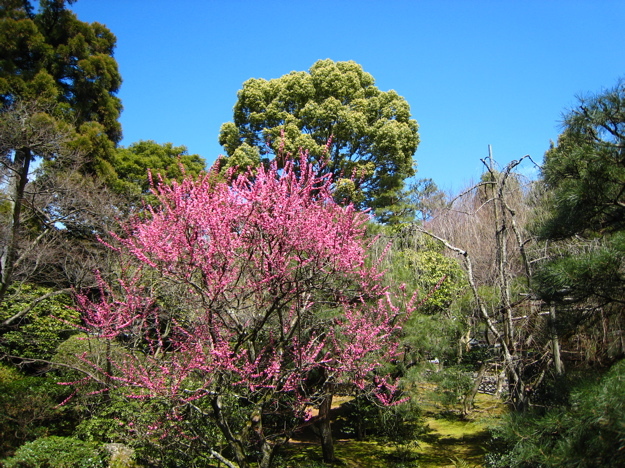 The same garden — and another nice picture. I think there’s a song about this guy. 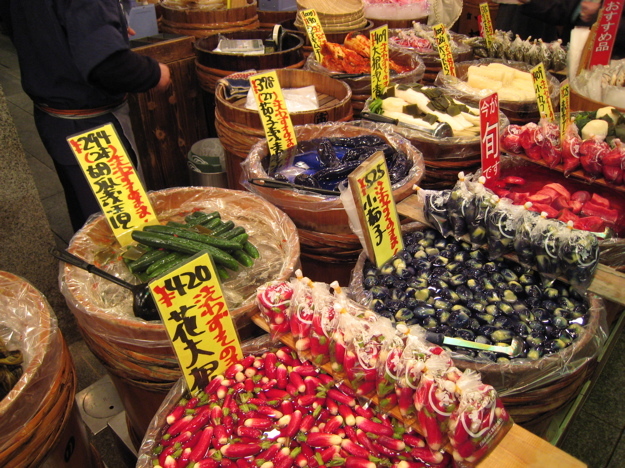 One amazing thing about this market was the smell — in a good way. 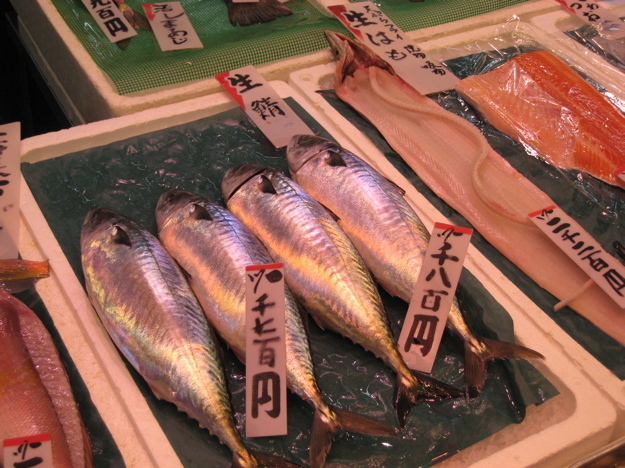 I’d expected an open-air market, selling primarily fresh fish, to smell, well, like dead fish. But there was no smell at all. This would be a fine… dessert? This… well, it’s certainly a pretty silver color! Iridescent fish are cool. Fish on a stick? Anyone? 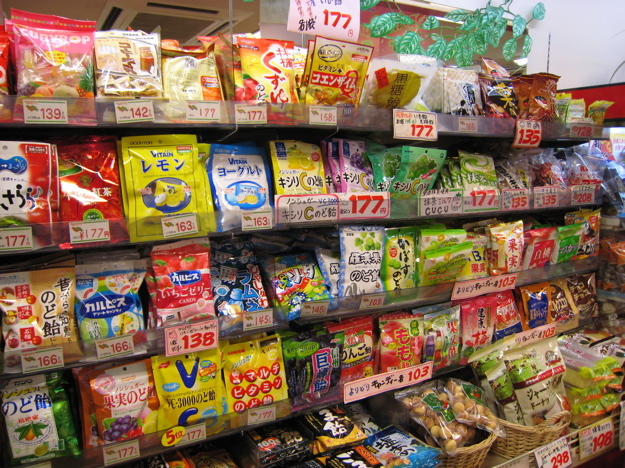 Snacks and sweets. If I could read Japanese characters, this would probably look like chaos, but since I can’t, it just looks to me like pretty colors with abstract characters. Again with the pretty colors. 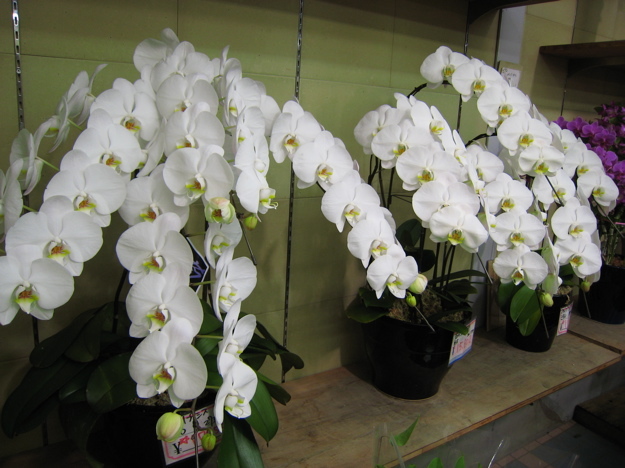 This flower shop had the most beautiful orchids I’ve ever seen. 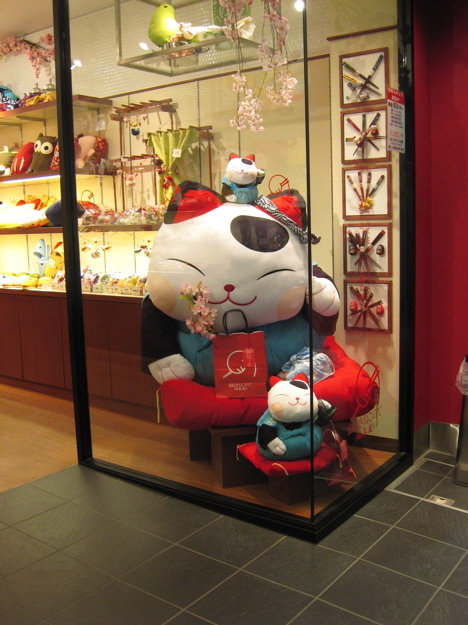 But the market also had this. I’m sure this is delicious, but it looks a little horror-movie-esque. Somehow, I suspect that Newman would love it. 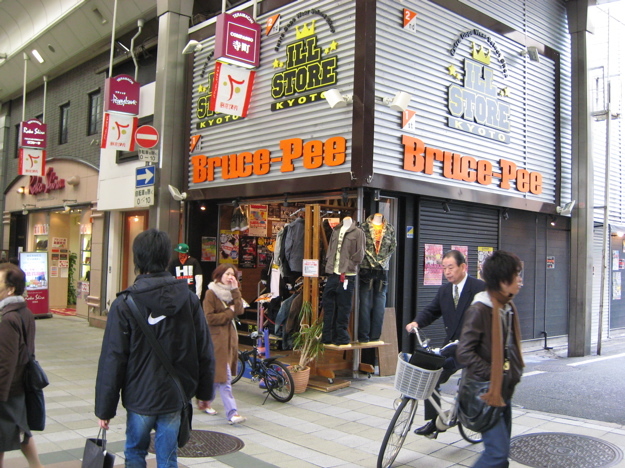 Any why not wash it all down with a glass of bruce pee from the Ill Store? 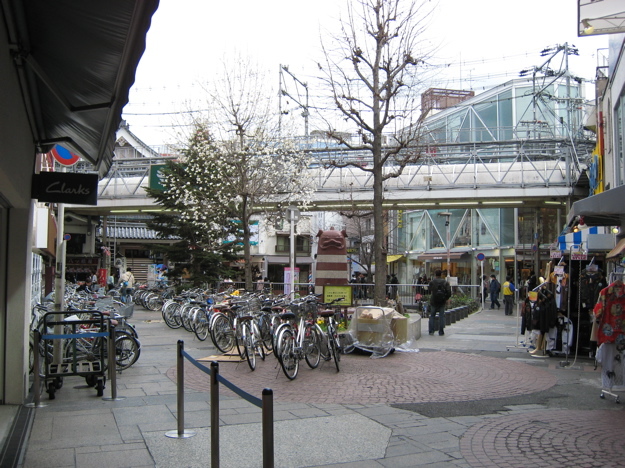 Here are dozens upon dozens of bicycles parked at the market. Not a single one was locked. Mmm! 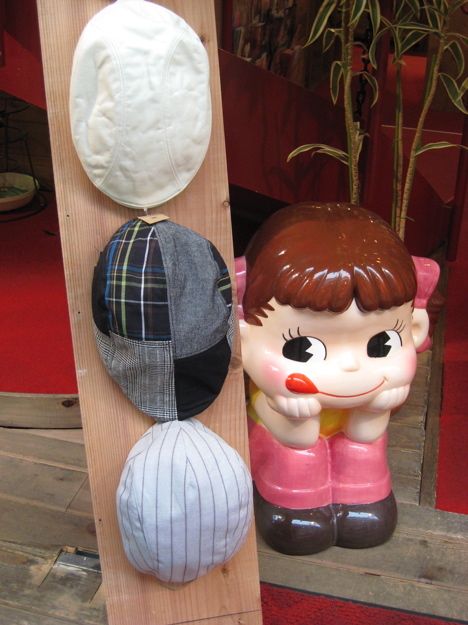 Those hats look delicious, don’t they, you funny little plastic girl? 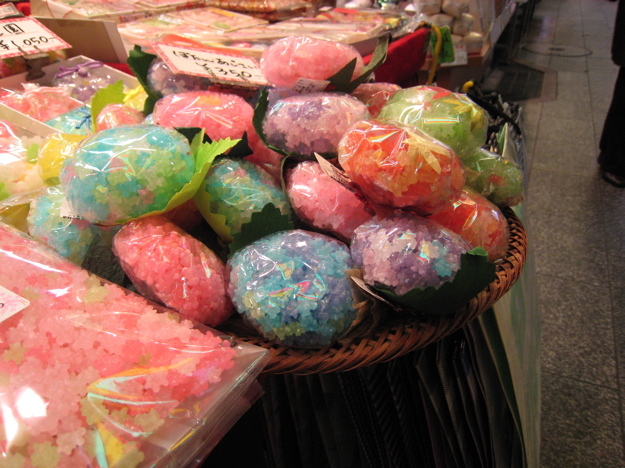 So, that’s the Kyoto market and a few temples. 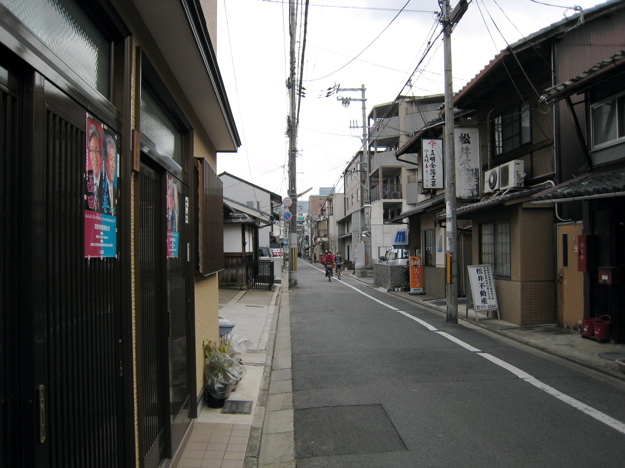 From there, we went to check into Tawaraya Ryokan, the famous historic Japanese inn where we’d be staying that night. 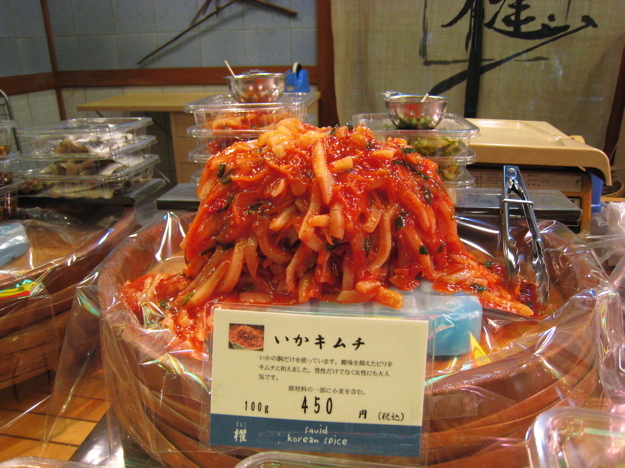 If you thought there were some crazy food pictures in this entry, just you wait. Mmm. 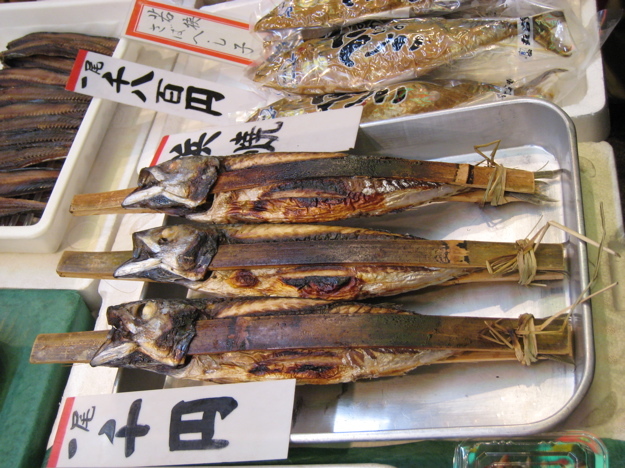 Fish on a stick, Looks way more possible than the box of difficult food mocking me on my kitchen table. 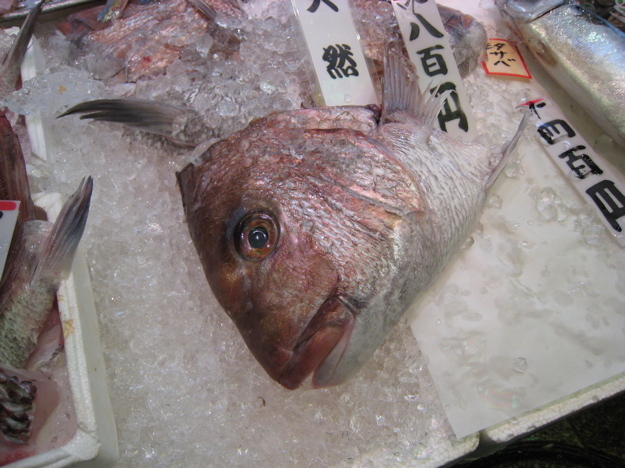 My favourite is the dessicated fish heads in a bag…kinda looks like potato chips. I brought back a bag for my students and when they were feeling adventurous (or if they were naughty) they chomped on a few. Next time you’re over there, check some out. Mmmm yum.